Broccoli Raab Early Fall Brassica Rapa is an open pollinated, two feet tall plant with tasty, dark-green leaves and spicy flowers. Broccoli Raab Early Fall seeds germinate fast, and they can be sown from early to mid spring and again in late summer through early fall. The rows of Brassica Rapa have to be spaced about two feet apart, and the growing Broccoli can be gradually thinned to 8 inches apart by harvesting greens. Broccoli Raab Early Fall will over winter from a late fall seeding in mild climates or with shelter. Broccoli Raab Early Fall Brassica Rapa produces small flower buds and leaves that can be used as greens or to spice up salads. 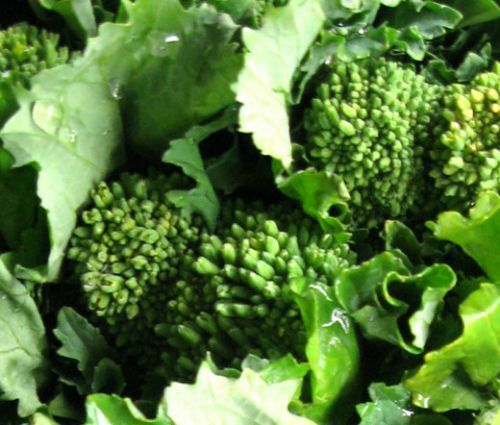 This particular Broccoli has zesty, mustard-like flavor that make it popular in Italian and other ethnic cuisine. Brassica Rapa seeds have to be covered with 1/4 inch of fine soil, and they can be planted in early fall for fall harvest. Broccoli Raab Early Fall produces over a long period delivering the vegetable plant that is rich in vitamins.